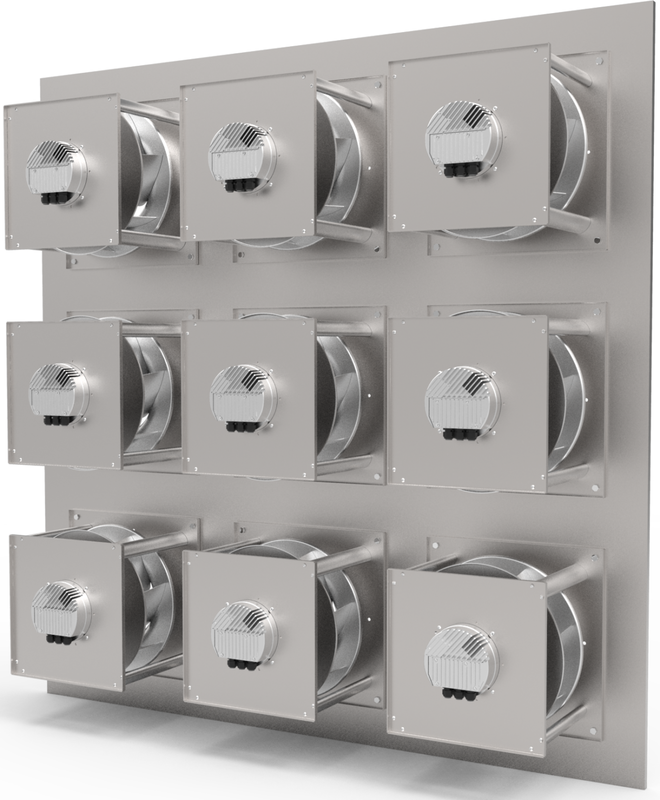 ECFanGrid is a multiple fan array designed to improve reliability, flexibility and efficiency in new or existing ventilation systems. 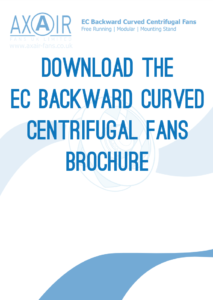 An ECFanGrid consists of several modular backward curved centrifugal fans or plug fans arranged in a grid construction offering numerous advantages over conventional technology. 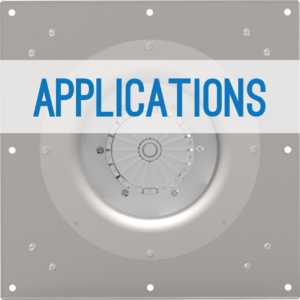 It is equally suitable for new projects and as a replacement for large single fans in retrofit air handling units. In addition to being compact and flexible, the ECFanGrid is easy to clean, replace and maintain while expelling low noise and delivering uniform air stream. A uniform air stream improves the efficiency of other downstream components, for example, a thermal wheel. 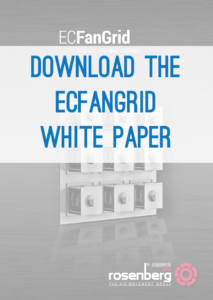 Learn more about the benefits of installing the ECFanGrid. Axair will work with you to develop a specification that suits your project requirements. 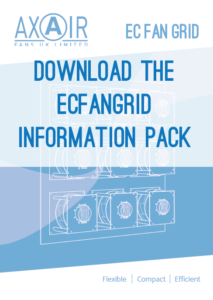 We supply the complete ECFanGrid kit which includes all mechanical parts: fans, wiring cabinet, grid construction and screws. We hold stock of all components to ensure short lead times and, on request, we will also supply the control cable, pressure hose, connectors and other ancillaries. 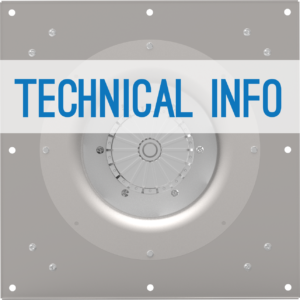 Continuous and consistent airflow is essential to virtually every facility, making under-performing or unreliable fans simply unacceptable. In addition to reliability concerns, inefficient fans can be a building’s biggest energy consumer. Given the increasing cause for environmental concern, designers should look to select EC plug fans which will not only provide the necessary reliability, but also provide optimum efficiency and environmental benefits. In most fan systems a single fan is selected for the required system and various methods of control are also installed to meet other operating points defined by the system duty such as dampers or variable pitch blades. In some instances, it is advantageous to use more than one fan in a system, for example when it is necessary for the required operating range of the system to include multiple plug fans running closer to their peak efficiencies, instead of one large fan controlled over a wide operating range. 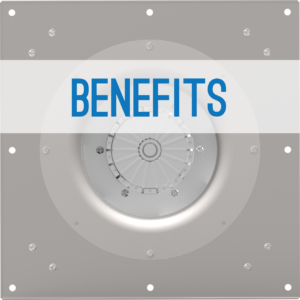 Multiple fans for capacity control may be more economical if the cost of operation is critical. By running fans in parallel, when one motor fails, only a portion of the airflow is lost, unlike single fan air handlers. Working with supply partner Rosenberg, we have developed an energy efficient solution to refurbishing old and outdated ventilation systems such as air handling units with an ECFanGrid. Part of the Axair team demonstrate the assembly of the ECFanGrid in the video below. This example uses three plug fans in a 2×2 grid. 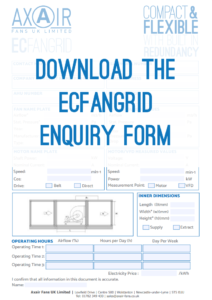 If you would like us to specify an ECFanGrid for your application, please complete our retrofit enquiry form with the necessary details and send it to sales@axair-fans.co.uk. One of our team of product sales engineers will be in contact.